Since most of our working lives are now spent in sedentary activities, when they used to be spent energetically, we want to spent more of our leisure in exercising our bodies. Society therefore has relatively more need for greenways and less need for public parks devoted to passive recreation. Greenways also accommodate green transport routes. 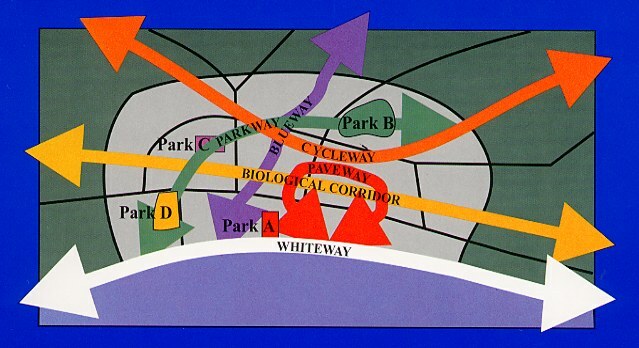 The landscape architecture profession should devote much of its effort to the planning and design of greenways. The two best oportunities for creating a network are with river reclamation and green streets.